Our expert knowledge of the search engine optimisation industry allows us to manage your entire SEO campaign and send detailed statistics of your website performance weekly or monthly. We can manage both your organic search campaign and your pay per click search campaign – when these 2 areas are managed professionally and effectively you should notice a boost in sales and increased traffic to your web site. We offer our web site design clients the ability to improve their web site rankings by providing ‘white hat’ SEO techniques to help improve your web site's popularity with the leading search engines i.e Google, Yahoo & Bing etc. We make no guarantees on placements and positions for keywords, however we know how to implement ‘white hat’ techniques that get results and increased traffic and leads from your website. If you have a brand new domain name it can take time to build your web site's organic page rank, results aren't seen overnight. Content is king, but when combined with keyword optimisation and link building with relevant websites in your industry you will see a growth in web site traffic. With our expert knowledge we can help kick start your internet marketing campaign and give your site the boost it needs to gain interest on the internet. In-depth keyword phrase and competitor research. Choose to focus on 3 keyword phrases. Re-written web content focused on agreed keyword phrases. Optimised web site coding, structure and images on agreed keywords. Google site map creation and activation. Google webmaster tools installed for additional information on how Google sees your web site. Google Analytical Reporting to see how your keyword phrases are performing along with stats on your visitors. Submission of your website to the leading search engines. 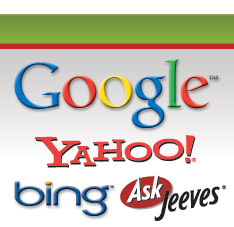 Be found on Google, Yahoo, Bing, Ask, Excite plus many more. Manual submission of your website address to 20 business directories relevant to your industry. Articles and press releases written focusing on keyword terms, then submitted to the leading providers. Posts in forums and blogs on your behalf with your web link attached. Help, support and advice and things you can do yourself to improve your website rankings and traffic. Including Facebook, MySpace, Twitter & RSS. 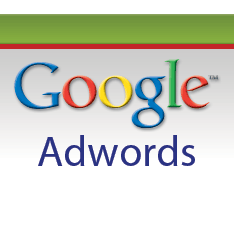 If you require instant visitors to your website then Google Adwords will be your best option in the short-term. Although you would ideally want to concentrate on organic search rankings in the long-term. Appletree Creative offer professional setup and activation of Google's Adwords marketing campaigns. Adwords is a great way for newly registered web sites to get on the first page of Google by means of a Google sponsored links advert. We can provide in-depth keyword research, campaign implementation and activation. With our expert knowledge of Google Adwords campaigns we can drive traffic to your website in the most cost effective way by combining in-depth keyword and competitor analysis with well written website content to keep your quality score up and your Google spend down. You decide how much you would like to spend per day (a minimum of £2.50 per day is recommended) on your adwords advertising and we'll configure your campaign for your desired spend, no contracts, you can pause your campaign, raise/lower your budget or make any changes at any time. For example if your budget is set to £5 per day and you accrue enough clicks to meet that budget your ad will disappear from Google until your £5 budget is renewed the following day. This ensures you never go over budget. Unlike other agencies we don't charge you a monthly fee, we charge a one-off setup fee to fully configure your campaign after which every penny you spend is with Google themselves, meaning that all your marketing budget goes towards your campaign rather than a percentage being retained by your SEO agent. You can either take control of your Adwords account after setup or you can have us manage your account as and when you need us to. For a one-off charge we can review your campaign and make changes needed to give your campaign a boost, although for free we can Pause/Un-pause your campaign, raise or lower your budget and pause/un-pause keywords.